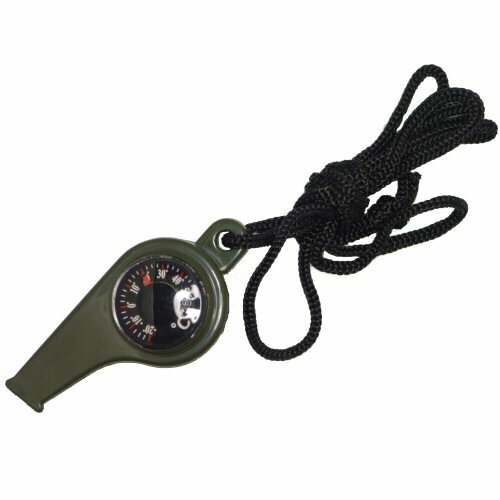 Three-in-one survival olive drab whistle with built in button compass and thermometer. Ideal as a survival tool for all situations. 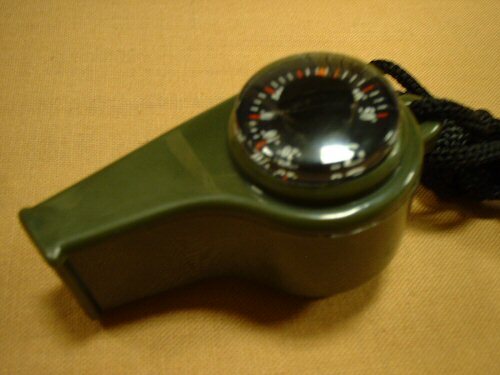 Good for attracting attention and a useful backup in case the primary compass gets lost or damaged. The whistle weighs approximately 60 grams and is a potential life saving device for every situation. Close-up view of the thermometer. 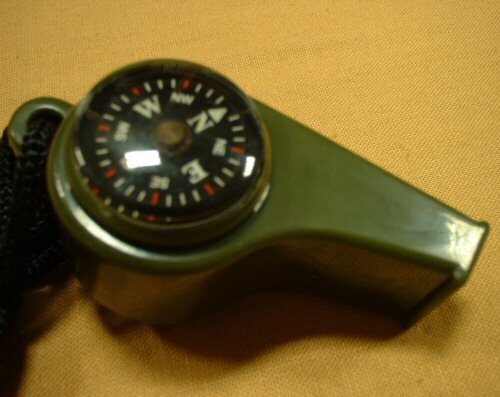 Close-up view of the compass.